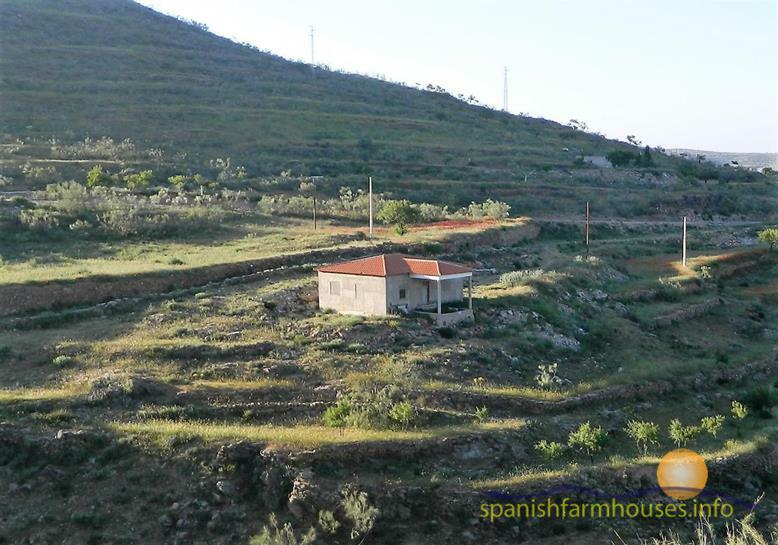 Unfinished detached farmhouse at a stone’s throw from the cute little village of Benizalón with fabulous views and excellent access. The house is only about 400m out of the village and all of the main structure is done. It is currently used as a storeroom, so needs the interior divisions done as well as the installation of water and electricity. The house measures 85m2 so could be made into a 3 bedroomed house. The views are absolutely fabulous as the countryside around is greener than usual and has lots of the old oaks the remnants of the old forest. The town water line runs across the land, the possibilities for connecting to the mains will have to be investigated. Benizalón is 1 hour from the coast and from Almería and its airport.